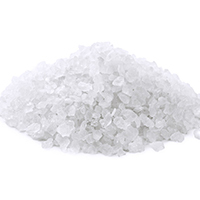 Offering bulk and bagged salt for your deicing needs in the winter. Residential and Commercial pricing available. Bags are 50 lbs. and there are 49 bags to 1 pallet. This premium blend will melt ice faster and longer than rock salt. Sizzle’s rich dryblend of 10% calcium chloride pellet and premium sized salt crystals, allows for reduced application rates and provides clean surfaces quicker and more efficient. It is great for walkways, driveways, steps and other traveled surfaces. Effective at lower temperatures. Optimum blend of Calcium Chloride pellet and premium sized Sodium Chloride. Quick burn allows for advanced melting stages during extreme cold and harsh weather. 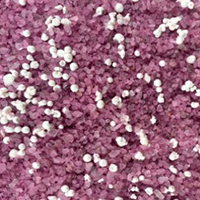 Visible ice melting blend is lavender in color, providing easy visibility and lowering your risk of over application. Available in 50 LB bags individual or sold by pallet. Mag Chloride and corn carbohydrate based additive. Corrosion inhibitor coating. Premium sized for ultimate performance. Reduces application rates up to 50%! Will not clump or freeze at low temperatures. Aqua color for improved visual spreading. Quick burn and long lasting performance. Lowest operating temperature liquid on the market! Available in 50 lb. bags individual or sold by pallet. Safe for pets and safe for concrete sidewalks. Rock salt is the most cost-effective deicing product available for removing snow and ice, keeping traffic and the economy flowing. It’s easy to use, store, and apply, and its effectiveness at keeping roads open makes it the cornerstone of most snow removal programs. Used alone, it readily clears snow and ice. It also can be used in a brine or as a preventative before a storm when conditions warrants. 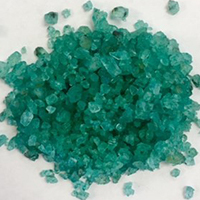 Unique Blend of large and small Sodium Chloride crystals. Small crystals provide quick melting capability. Large crystals = lasting protection.